Thank you for Making PetFest a Success! Thank you for making PetFest 2018 a success! Beautiful weather and record attendance combined for a very successful fundraiser for Friends of the Shelter. Several thousand dollars were raised for low cost spay/neuter services for companion animals in six Northern Kentucky counties. Let's make PetFest 2019 even bigger and better! Check back in March to this page and our Paw Print Newsletter for updates. 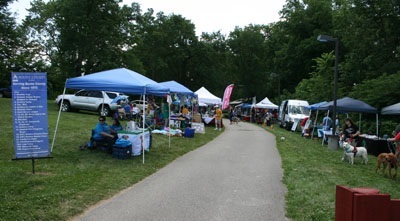 PetFest 2019 will be held on Sunday, June 30th.